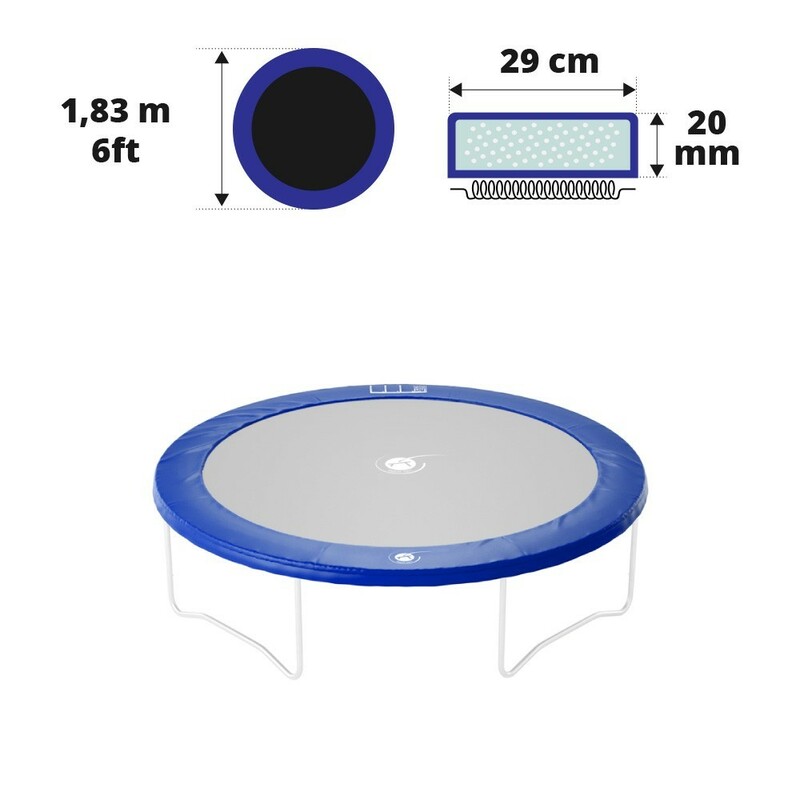 Blue frame pad for round trampolines of 1.80 m in diameter. Blue frame pad to protect the springs on your Ø 1.83 m trampoline. Once this part of your trampoline is too damaged, it is no longer an efficient safety barrier. It is therefore recommended to change the frame pad on your trampoline. 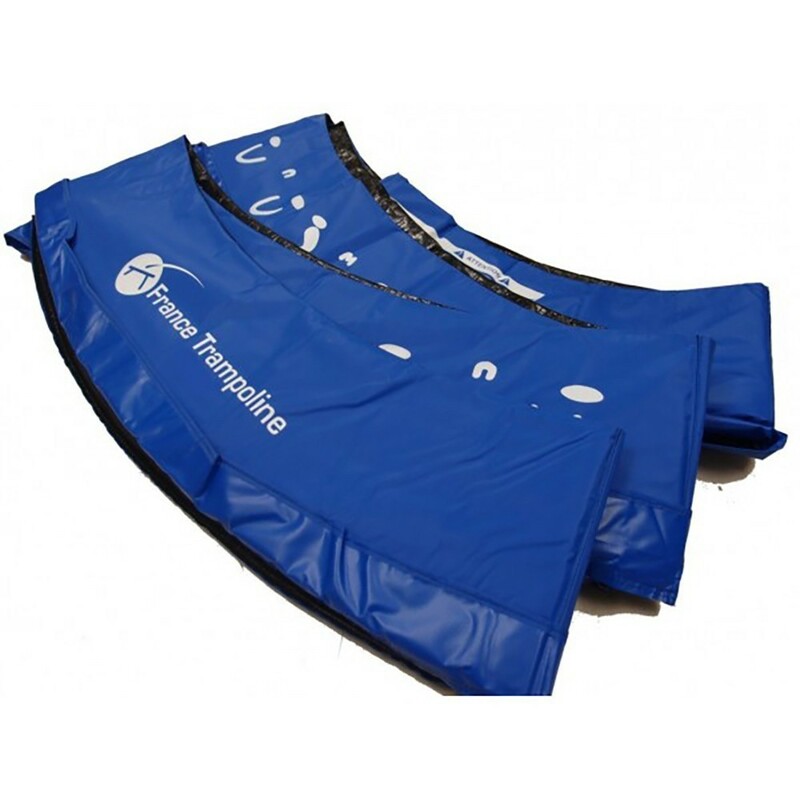 This frame pad can be fitted to any trampoline with a total diameter of precisely 1.83 m, with springs measuring from 130 to 180 mm in length. - This frame pad can be used on any trampoline of 1.83 m in diameter (6ft), whether or not it was bought at France Trampoline. Please make sure that you measure your trampoline correctly to make sure you are choosing the correct frame pad. Measure the whole diameter satarting from the exterior steel framework. - This protection pad is made from polyethylene foam, which is 10 mm thick. These small trampolines are used by children, so this thickness is perfect for their weight. It is very resistant and waterproof so will resist perfectly against bad weather. 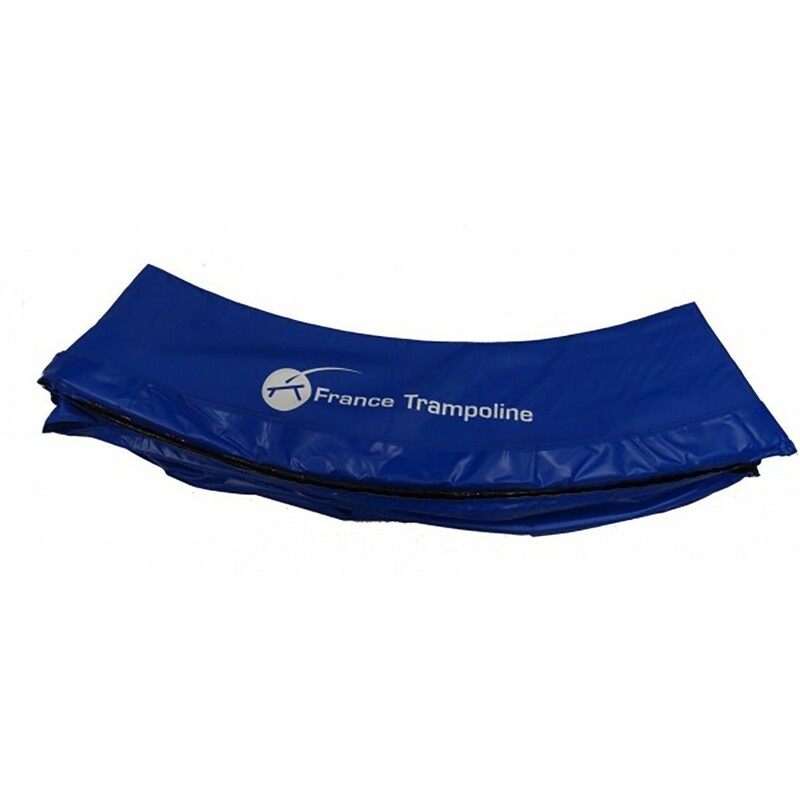 - Contrary to frame pads found on discount products, this France Trampoline frame pad is made of a single layer of foam. This makes it far more resistant and less likely to come apart. - The foam is covered in a technical PVC of 360 g/m² density, which is less than in our other ranges, but is sufficient for breaking small vertical falls. In total, the frame pad is 10 mm thick, including the foam and the blue PVC which has been UV protected. - This spare part is fixed to the framework using 6 black elastic straps. The frame pad therefore has some leeway whilst it is in use.